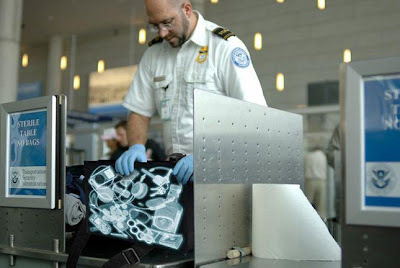 Collection of creative handbags and unusual handbag designs from all over the world. 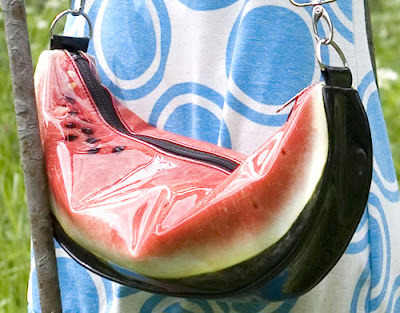 Watermelon Handbag: This cool handbag inspired from watermelon slice is the perfect fashion accessory for the summer. 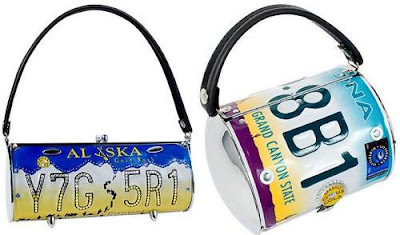 License Plate Bags: These bags are made from car license plates and each of these is unique (no two are the same; all the license plates are different). 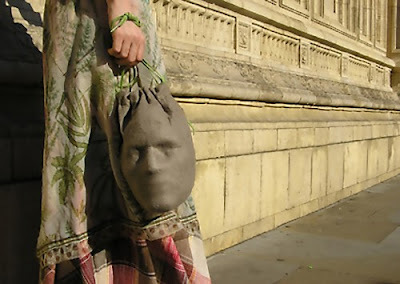 Boggia's Bags: These unusual and creative bags are creation of designer Boggia. Zipper Handbag: Black leather handbag is covered in zip pullers. 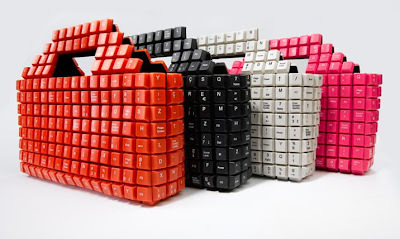 Keyboard Handbag: Creative bag made from hundreds of computer keyboard keys by designer João Sabino. 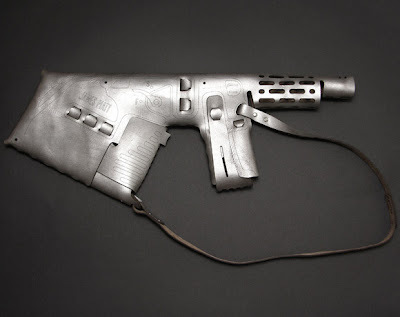 Pursuader Handbag: This unusual shaped bag features a place for mobile phone inside the clip. 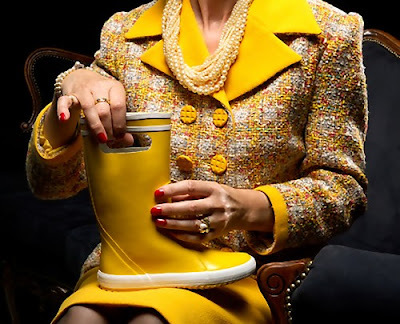 Boot Bag: By simply making an opening in a rubber boot, the designer Saskia Marcotti has created this original bag. 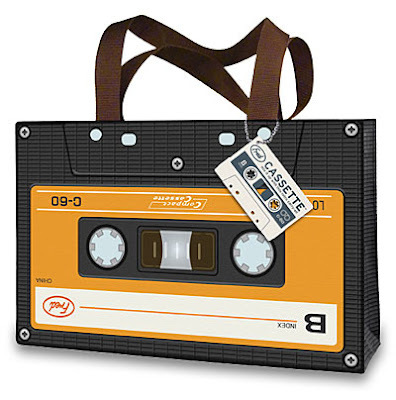 Heel Shoe Handbag: This cool leather handbag design comes with looped handle strap. 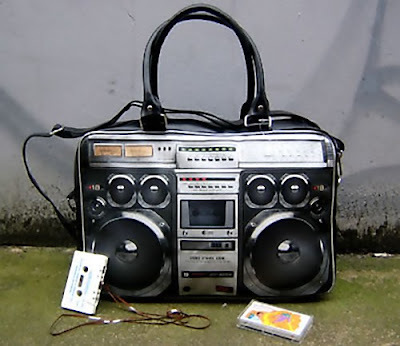 Boombox Handbag: This one comes with removable, extendable strap, a zip up top and fully lined with small inside pocket. 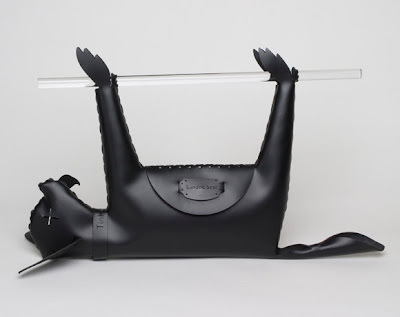 Tinkerbell Handbag: This unusual design capitalizes on the trend of taking a small dog as fashion.